Hey there! Little rituals, how we take the time to put intention into our routines, can make a big difference, over time. Here are a few tips! The quality and condition of your skin will ultimately determine how youthful you look and can affect your overall appearance. Unfortunately, many people have slip-ups that cause complexion damage over time. If you want to avoid harming your skin, there are a few common mistakes to avoid making. Most people are aware that exfoliating is an important part of caring for your skin to remove dead skin cells and prompt regrowth to reduce the appearance of fine lines and wrinkles. It can be easy to over-exfoliate and buff away the top skin layer, which can mean removing the protective skin layer. The Skin Nerd explains that many chemical exfoliation products use acids to break down the skin and overuse of these can cause serious complications. If your skin isn't protected, it can increase your risk of sun damage and exposure to environmental toxins, which leads to aging. Experts recommend only exfoliating two to three times each week. No one is going to say that drug use and abuse are good things, but very rarely do we talk about the serious damage drug use can have on every part of our bodies. The Recovery Village explains that methamphetamine causes acne, sores, and a substantial drop in your skin's elasticity, which can lead to premature aging. The blood vessels constrict with drug use, which can affect proper blood flow to the skin and can make it difficult for the body to repair any damage that has occurred. Your complexion will begin to lack a healthy glow and can start to sag, form wrinkles, and age rapidly. Improper cleansing of the skin also leads to damage to the complexion due to clogged pores that can lead to breakouts. It's important to cleanse your skin with a product that has the right ingredients, which includes witch hazel, which is a natural astringent. Salicylic acid is necessary for cleansing the pores and antioxidants should also be an added ingredient to offer protection. Acne, a leathery skin texture, and an increase in sores are common, which can add an extra decade to the individual's appearance. Blemishes need proper treatment to ensure that they heal correctly and don't lead to scarring on the skin. Avoid pushing the infection to the surface of the skin and give it a few days to work itself up naturally. Rise and Shine recommends to avoid applying a drying treatment, which can cause it to become trapped underneath the skin. Dry and flaky skin can actually cause more pimples so using gentle oil-free moisturizer can help. With cysts, avoid picking the pimple because they'll never reach the surface. Opt for applying an anti-cyst product that will dissolve the infection. Hum Nutrition explains that vitamins affect skin health and are necessary to slow down the effects of aging. It's important to get enough omega-3 fatty acids to ensure that cells can hold enough water to reduce the risk of wrinkles. Vitamin B1 and B6 are also responsible for strengthening the skin and preventing stress from having a harmful effect. CBD oil can also be used with vitamins and can be applied topically treat eczema, reduce acne, and encourage abnormal cell death. Skincare slip-ups are common but should be avoided if you want to improve the quality of your skin as you age. With the right care provided, you can feel proud to show off your skin and allow it to look youthful. Having professional beauty services done can greatly improve your chances of avoiding these mistakes and slip ups! Let Beauty Ecology help you have the best skin you can possibly have! Unless you’re living under a rock burrowed deep within a cave on a remote island with terrible cell reception, you’ve heard of CBD. Touted as a “miracle drug,” everyone from doctors to stressed-out city dwellers are excited about its therapeutic potential. While we tend to err on the side of science, both anecdotally and in studies, CBD has been shown to help with conditions ranging from anxiety, stress, inflammation, and, as demonstrated by the drug approved by the FDA, childhood epilepsy. We’ve talked about how topicals can help with pain (remember: most cannabis creams don’t meaningfully enter your bloodstream), but we haven’t talked about why inflammation happens, why it’s important, and how cannabis can help the process.
. A certain level of inflammation ensures bacteria is kept under control and cells are hard at work to heal the area. However, there is such a thing as too much inflammation. The root of excruciating chronic diseases like rheumatoid arthritis, excess inflammation can also cause damage to tissue, cells, and your skin. Now, onto another form of inflammation that causes great strife in human populations—zits. A pimple is your body’s response to trapped bacteria. Zits are how your body deals with bacteria that’s become sealed in your pores—whether it’s from excess oil production or dead skin cells. While popping said pimple can be deeply therapeutic, it never solves the root problem: the bacteria getting entombed. Whether it’s overactive sebaceous glands that create an oil imbalance (remember, not all oil is bad, particularly when it comes to your products) or dead skin creating a fossilized layer on your face, poking and prodding a zit can actually worsen inflammation and spread the bacteria to other pores for more mounds, more bumps, more pus. Both are good for your skin but hemp seed is used for its deeply moisturizing abilities. CBD is the active compound in cannabis that fights inflammation, bacteria, and cell turnover. Hemp seed oil is already used in products throughout Europe and the U.S., and is akin to a common carrier oil like rosehip. If the brand doesn’t list CBD, phytocannabinoid, cannabidiol, or full-spectrum hemp (which are all indications of CBD in legal chemical terms) on their packaging, you’re just buying hemp seed, which has no active CBD. Like with all active compounds, you need enough of it to work. Ever try taking an eighth of an Advil? Dr. Caroline Hartridge, an osteopath and founder of Dr. Hartridge’s Healthcare Solutions, notes that 200-mg per ounce of product is effective for pain and anti-inflammatory effects. Lower doses are still powerful for cellular repair among a host of other benefits but if you're seeing lower than 25-mg per ounce, or the company is hesitant to share levels, be wary. Before you get dazzled by CBD, make sure the other ingredients are OK for your skin. Perfumes, additives, and thickeners may trigger allergic reactions or be the key ingredient that helps your skin. Chemicals are chemicals are chemicals. The battle between isolate and full-spectrum CBD are valid as isolates are difficult to trace, but, if your beauty company is transparent about where the CBD comes from, isolate might be better for your face. Full-spectrum is like a wine crop: Each vintage varies. CBD’s terpenes or essential oils can vary from crop to crop. While that’s okay for food, for your face, you may want something that’s more consistent. Whether you’re slapping it on your face or ingesting it orally, evidence points to CBD helping with inflammation, oil production, and restoring moisture balance. One study showed that ingested CBD helped normalize oil production, leaving acne sufferers with better skin as pores wouldn’t get blocked. If you’re looking for a topical, make sure it has a high dose. If you’re looking for an oral CBD, make sure you’re not allergic to anything in the tincture. Talk about a new era of GREENWASHING. Curious exactly what CBD oil can do for your skin? Ever wondered if hemp seed oil is the same as cannabis oil? Let’s debunk and get clear on some skin facts . Groundwork: What Is CBD Oil? CBD (cannabidiol oil) is not hemp oil, and it’s not technically cannabis oil either. Lastly, no it’s not going to get you high. So what the heck is it? CBD oil vs hemp oil vs cannabis oil. What you need to know: cannabidiol (CBD) oil is naturally found in hemp oil – but in extremely small amounts. The majority of “CBD” Skincare Hemp oil is contain cannabis sativa oil. SO is it Hemp or CBD Oil? Both are good for your skin but hemp seed is mostly used for its deeply moisturizing abilities. CBD is the activating compound in cannabis that fights inflammation, bacteria, and cell turnover. Hemp seed oil has been used for centuries in skin products and is similar to a common carrier oil like rosehip oil, but its not the same as active cannabidiol. What to look for when wanting ACTIVE Cannabidiol in your skin products. If the brand doesn’t list CBD, phytocannabinoid, cannabidiol, or full-spectrum hemp (which are all indications of CBD in legal chemical terms) on their packaging, you’re just buying hemp seed, which has no active CBD. Fact: CBD oil regulates over 1000 gene expressions in your biology. This is great news! The impact of positively creating a healthier short and long term epigenetic interaction brings potential for both aging and ailments. A recent study completed by a clinical research company called Genemarkers showed CBD oil – when in the right formula – has potential to speak to up to 165 of your skin’s genes via your cb2 receptors. Inflammation is a biggy for skin. Now let’s hit how CBD oil helps. All skin types can benefit from anti-inflammatory actives. Your skin can be triggered into inflammation quickly and we go about our life not even seeing it. For example: UV light causes inflammation, stress causes inflammation, too little sleep causes inflammation, sugar causes inflammation – ever got red skin after a hot shower? Yup – inflammation. Imagine your skin’s like a disco band concert DJ volume panel. There’s hundreds of buttons, dials and sliders. You can push them up and you can push them down. When the party of Cytokines which are messengers that impose stress and inflammation, your skin’s biome and genome visibly becomes agitated, aged, dry and eczema. This is also when you go from having patches of flaky skin to psoriasis. To sum it up, when your skin’s inflammation volume gets turned up – genetic vulnerabilities to developing chronic skin conditions get switched on. A geeky way of saying your skin is stressed. Not the disco dance we want to experience. >> Where’s John Travolta when ya need him? CBD benefits are pretty awesome considering over 90% of us will experience acne and oily skin and some point in our lives. I’m not talking about a drying astringent effect which temporarily absorbs or cuts through grease/sebum. Cannabidiol has proven to turn down your skin’s volume of sebum production. Not only does this mean less oily skin, this also means a reduced chance of breakouts, acne and pimples. Shine from your heart, not your face! The goal here is to make your skin less oily and your skin’s microflora balanced. Flash~ acne causing bacteria get pushed out. So to review what benefits for oily, acne prone skin can experience…. Your skin becomes less oily. Your skin therefore becomes less loved by acne bacteria. Your skin experiences less acne, spots and pimples. You can fly your skin plane steady and regain skin confidence! How Much CBD is Needed for Results? Like with all active compounds, you need enough of it to work. Dr. Caroline Hartridge, an osteopath notes that 200-mg per ounce of product is effective for pain and anti-inflammatory effects. Lower doses are still powerful for cellular repair among a host of other benefits but if you're seeing lower than 25-mg per ounce, or the company is hesitant to share levels, be wary. Bidirectional cell talk brings an impressive anti-inflammatory and anti-acne affect by downregulating cytokines. Since almost every skin condition in existence is caused, worsened or made to happen more quickly by inflammation – the skin benefits of active diols, not just a seed oil are why myself and top formulators are evolving the anecdotal proof to largely reach women in the free market. Is Full Spectrum or Isolate best for skin? Get the SKIN HEALTH you deserve, NOW! Remember, you are what you absorb. 1. Look for Organic and a COA. 3. 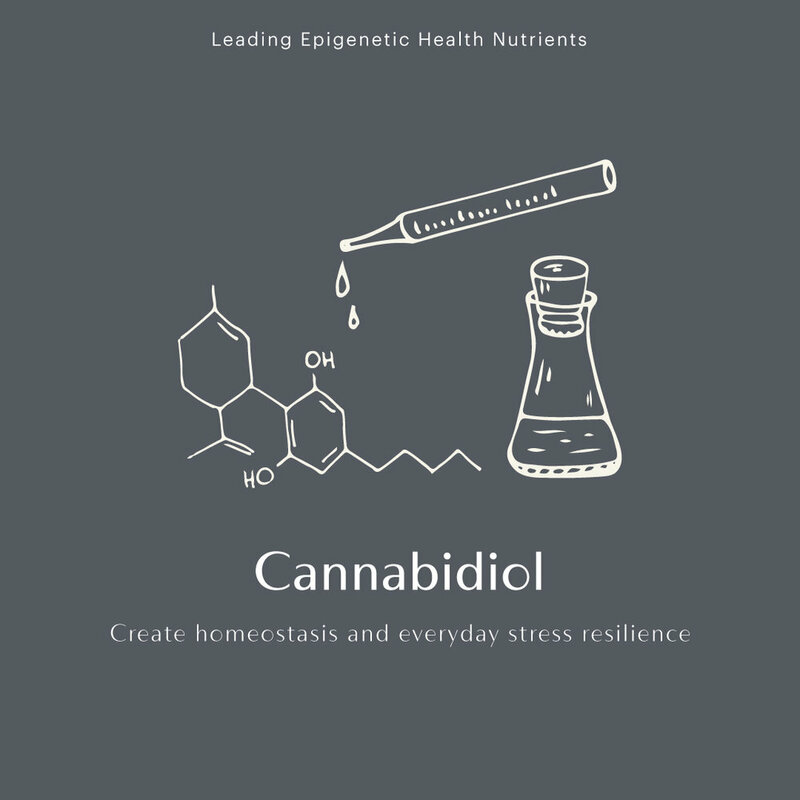 Bioavailable through terpenes and low molecular fatty acids to assure you're avoiding the P450 Pathway - in which all your plant medicine is being stolen from Enzymes. Want to get started on bringing your skin back to equilibrium? Learn more and shop Nano CBD that is bioavailable, organic and sure to be a win-win on keeping your outer most protective barrier in top shape. Think of inflammation like your body’s personal police force and hospital all rolled into one operation. It’s your first line of defense when you cut yourself, get an ingrown hair, or destroy your feet with a pair of five-inch heels. Your immune system is kicking in to protect and repair hurt areas with increased blood flow and white blood cells. This causes area to swell up, but it’s for a good cause. A certain level of inflammation ensures bacteria is kept under control and cells are hard at work to heal the area. However, there is such a thing as too much inflammation. The root of excruciating chronic diseases like rheumatoid arthritis, excess inflammation can also cause damage to tissue, cells, and your skin. CBD and THC have both been shown to help with inflammation. These cannabinoids stop your body from over-firing inflammatory substances, balance blood flow, and have antibacterial properties. They also help with cell regeneration. There’s evidence that both compounds may reduce pain while healing damage. Now, onto another form of inflammation that causes great strife in human populations—zits. A pimple is your body’s response to trapped bacteria. Zits are how your body deals with bacteria that’s become hermetically sealed in your pores—whether it’s from excess oil production or dead skin cells. CBD has been theorized to be the next wunderkind in skincare because it tackles zits at every level. Not only is it hemp a non comedogenic oil (meaning it won’t trap oil, skin, or bacterial juices in your pores), but CBD is antibacterial and anti-inflammatory meaning it can help speed up that healing process. In one study in the U.K., CBD was found to kill drug-resistant bacteria. As mentioned earlier, CBD also regulates white blood cell count by fighting the infection, calming your body’s alarm system while regulating blood flow. This can help bring your skin, and zits (in theory), to a more balanced homeostasis. A study in 2007 from the Journal of Dermatological Science showed CBD and cannabinoids can help treat psoriasis. Read: it has the potential to balance your skin.